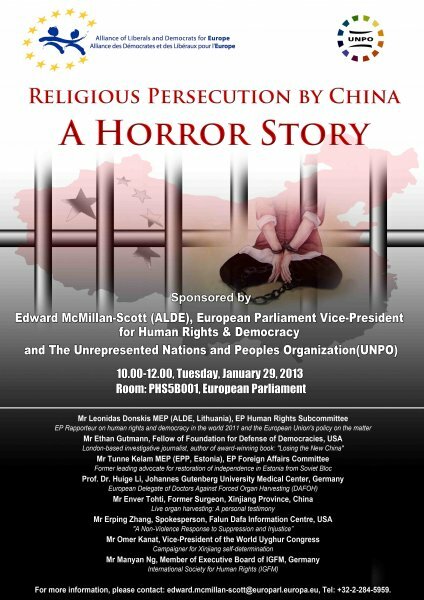 On Tuesday 29 January 2013, Mr. Edward McMillan-Scott (ALDE), Vice-President of the European Parliament for Human Rights & Democracy and the Unrepresented Nations and People's Organization (UNPO) convened a seminar on Religious Persecutions in China at the European Parliament in Brussels, Belgium. 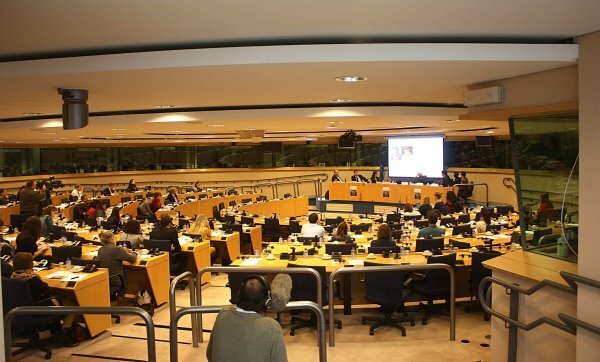 European Parliament Hearing brings evidence and testimony of human rights violations by Chinese authorities on prisoners of conscience and religious groups in China. Brussels, 30 January 2013 – In an effort to shed light on and raise awareness of the often murky human rights situation in China, a hearing in the European Parliament entitled “Religious Persecution By China: A Horror Story”, was convened by Edward McMillan-Scott MEP (ALDE), in conjunction with the Unrepresented Nations and Peoples Organization. 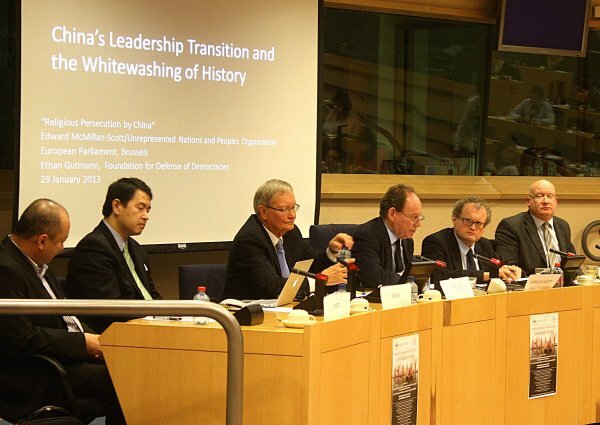 An international panel of experts, ranging from journalists and academics to witnesses all agreed upon the necessity of putting an end to extremely violent practices in China, such as live organ harvesting and re-education through labour camps, mainly targeting prisoners of conscience and religious groups. The conference was opened by Mr. McMillan-Scott, the European Parliament’s Vice-President for Democracy and Human Rights, who stated that the European Union is obliged to take action against the impunity Chinese authorities profit from with regard to human rights violations. His statement was endorsed by Leonidas Donskis MEP and Tunne Kelam MEP, urging the European community to take a tougher stance on these human rights issues. Ethan Gutmann (Foundation for Defense of Democracies) drew a precise timeline of the practice of organ harvesting in China, mainly against Falun Gong practitioners. These investigative accounts were supported by the testimony of Enver Tohti, a former surgeon in Xinjiang, China, who participated in live organ harvesting without realising at the time the drastic implications of the operation. Erping Zhang (Falun Dafa Information Center) provided the audience with an overview of the origins and practices of the Falun Gong, a peaceful spiritual movement particularly targeted by organ harvesting. An extensive international investigation into this crime against humanity was called for by Huige Li (Doctors Against Forced Organ Harvesting). In addition to the revelations on organ harvesting, the issue of the widespread ‘re-education through labour camps’ was touched upon by Manyan Ng of the International Society for Human Rights. The plight of the Uyghur people in China was described by Michael Phillips (World Uyghur Congress), through detailed accounts of the religious persecution and discrimination they face on a daily basis. The great number of participants to the hearing witnessed MEPs and panellists urging the European Union to take action against these grave human rights violations, by using European political leverage on China. While it remains unclear if the new leadership will bring about change in this field, this hearing, part of a wider series of initiatives, demonstrated the political will to pressure the Chinese authorities to put an end to its cruel practices. The conference report will soon be available.